and expand to other areas!" 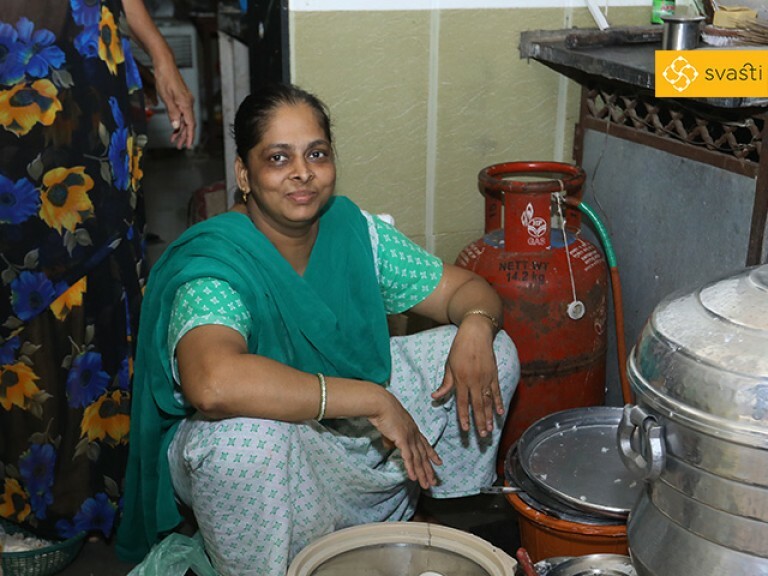 Nisha Rajendrakumar Vishwakarma lives with her husband and two children in a small house in the Vikhroli area of Mumbai. She not only adds generously to the family income, she's also become a successful businesswoman in her own right. 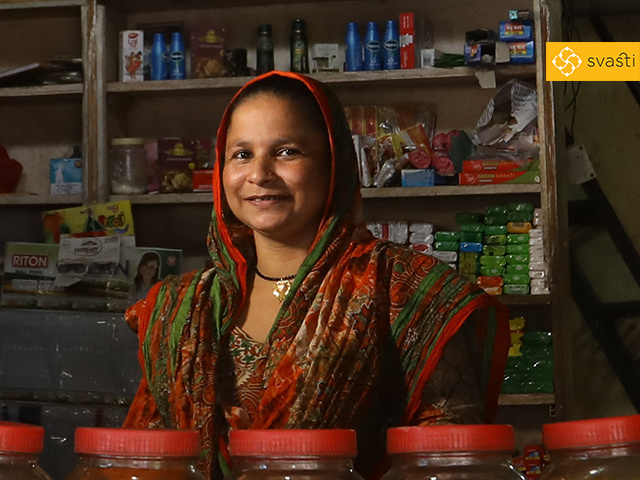 Nisha always wanted to start her own business, but could not get a loan to start something, as per her requirements. 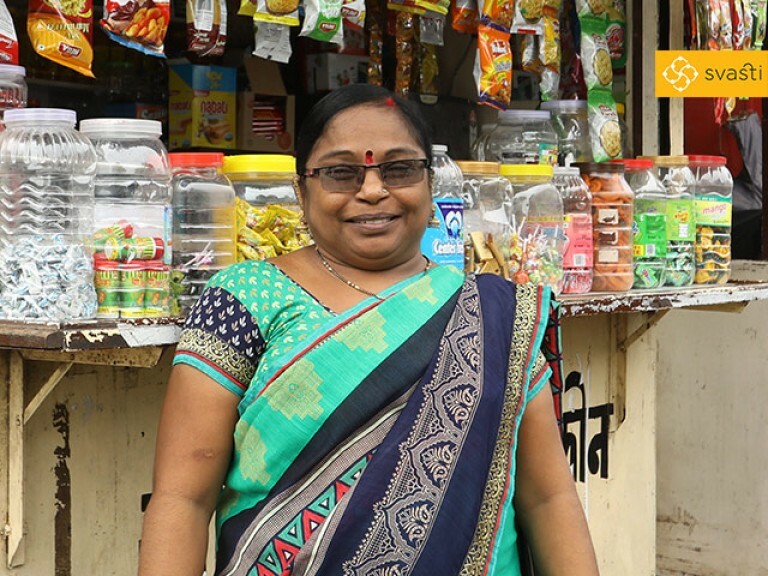 So, when Nisha heard of Svasti and its minimal-paperwork, no-collateral JLG Microfinance Loans, she was quick to gather four like-minded and aspiring business women, and initiated the process to get herself a loan. 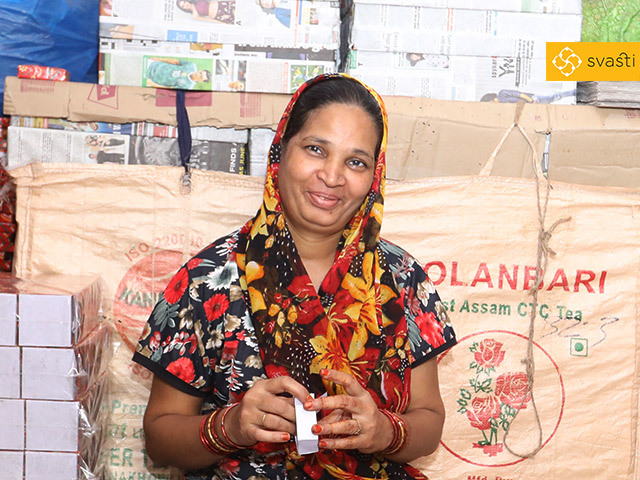 With her first loan of Rs 15,000 from us, Nisha started a small Public Telephone Booth. And after repaying it, she took two consecutive loans of Rs 25,000 and Rs 40,000 to expand her phone booth to include a general retail store. Nisha proudly says “Svasti has helped me in achieving my dreams of starting my own business and being self-independent”. Now, Nisha is planning to rent more spaces at different location, and expand her business some more.